There are only a handful of automobiles in the industry today that most reviewers can consistently agree is among the most highly-regarded year-in and year-out, and the Honda Accord absolutely is one of those cars. 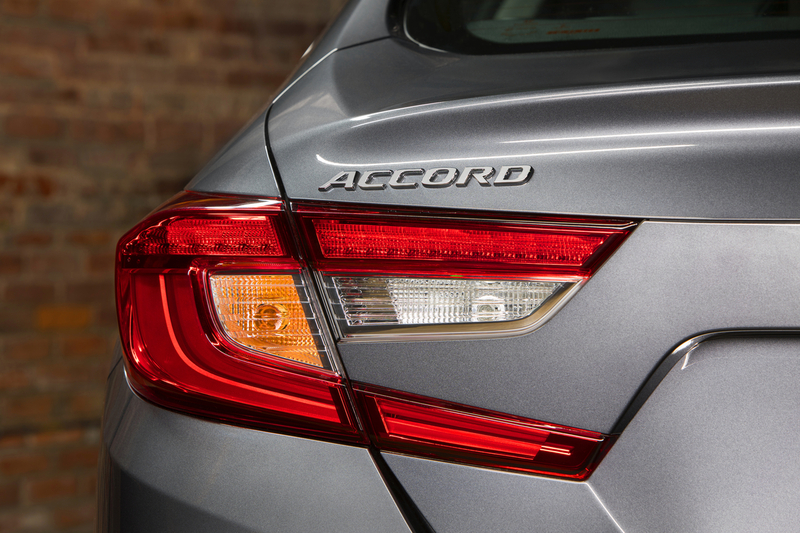 Long respected for its combination of interior space, technology, efficiency, and safety features, the Honda Accord is a favorite among both commuters and drivers with families, and the 2018 model year version of the car has done nothing to change that. In fact, this model year’s generational upgrade only cements its elite status among midsize sedans. Aside from its aesthetic upgrade, which is subtle but does include some noticeable changes like a new grille and a lower, leaner overall look, the 2018 Honda Accord also gets a couple of new engines that are rather revolutionary for the model. It is, for example, the first time that the Honda Accord has featured a turbocharged engine, and the available ten-speed automatic transmission is the first in the world for a front-wheel drive car. Furthermore, every Honda Accord model now comes standard with the entire suite of Honda Sensing advanced technologies, which includes features like adaptive cruise control, frontal crash avoidance and lane-keeping assistance. In other words, all Honda Accord models are now working harder than ever to keep drivers and passengers safer than ever. The 2018 Honda Accord will be available to San Diego Honda customers in short order, so if you’re interested in inquiring about a test drive, come pay us a visit here at Pacific Honda any time and we’ll be happy to give you an up-close look at one of the industry’s top sedans just as soon as it makes its way to our facility here in San Diego, CA. Terima kasih yang amat dalam kami ucapkan kepada Aki Dewa Sakti yang telah memberikan kebahagian bagi keluarga kami…berkat Beliau saya sekarang sudah hidup tenang..sudah tidak di kejar-kejar hutang…Kami di berikan Angka Ritual Ghoib Dari Aki Dewa Sakti yang sangat Jitu 100%…hingga kami sekarang merasa tenang lagi Karana Waktu Kami Menang Angka Sebanyak Rp 350 Juta Tembus 4 Angka…Terima kasih Aki,Jika Anda ada yang merasa kesulitan masalah Nomer Toto Singapura silahkan Tanyakan Aja Pada Aki Dewa Sakti…pasti anda akan merasakan apa yang selama ini kami rasakan…Salam Bahagia dan SUKSES..!!! Demikian Kisah Nyata Dari Saya Tampa Rekayasan.dan sedikit kami informasikan bagi saudara yang membutuhkan bantuan AKI kalau mau seperti saya hubungi AKI DEWA di no 0852-9936-5441 solusi tepat salam sukses.